Fang delivers an exceptional lesson experience and ranks in the top 15% of our teachers nationwide. Guest performer for my friend's studio recital. Guest performer for my Professor's private studio. Visiting Walt Disney Concert Hall. Got to see Valentina Lisitsa play the Rachmaninoff Piano Concerto no. 2. PSC Masterclass with Dr. Moonjung Kim. 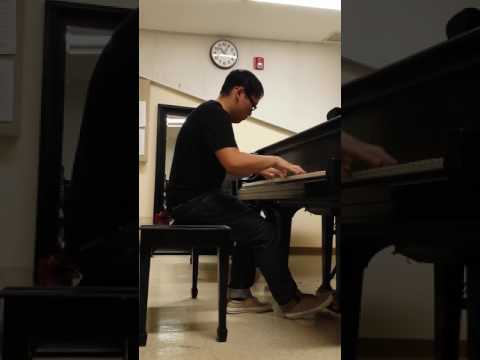 My duet partner for Pasadena City College, Piano Ensemble performance. My Junior Recital Program back in Spring 2016. Rachmaninoff: Prelude in G minor, no. 5, Op. 23 An audition video I did for my Summer Festival. Fang is a great teacher. Fang is an excellent instructor. He knows how to help my daughter who is completely new to music grasp unique concepts and truly listens to input from the practicing experience.